Jude Murray (‘we’ or ‘us’) (trading as Healing Space) collect, use and are responsible for certain personal information about you. When we do so we are regulated under the General Data protection Regulations which apply across the European Union (including the United Kingdom) and we are responsible as ‘controller’ of that personal information for the purposes of those laws. If you are signing up to a course or workshop, we will also ask for your mobile telephone number and street address. From time to time, we may ask you for your opinion about things via a survey. You do not need to identify yourself, and you will be asked for your explicit consent to do so. For further information on cookies generally visit http://www.aboutcookies.org or http://www.allaboutcookies.org. Purely to monitor where traffic to our website is coming from to help build our profile online. We would like to send you information about products, services, offers, competitions and our business which may be of interest to you. Such information will be sent by email. If you apply to a Healing Space course (face to face or online) you will be asked to fill out a detailed application form including your name, address and other contact details, qualifications and professional background and reasons for applying to the course. This helps us to identify whether the course is suitable for you, whether you have any additional needs that need support, and allows us to maintain contact with you as one of our students. You do not require to give any personal information such as age, gender, disability etc. Your name and e-mail address will be kept on secure servers until such times as you choose to unsubsribe from our communications. Data from students and ex students of Healing Space will be kept on file for a minimum of six years from collection. The information we use is your name and/or email address to keep you informed of events, workshops and trainings for marketing purposes because you have either a. attended an event in the past b. signed up to receive these messages or c. have expressely asked to be put on our mailing list for the purposes of being kept informed. All mailing data for newsletter sign ups is stored either on third party mailing software Mailchimp, which has its own rigorous data protection policies or on Gmail servers, accessed only by the website owner, and full password protected. For sign ups to our online courses and e-books, info is stored securely by our e-learning software provider Teachable.com which has its own rigorous data protection policies. In the case of Healing Space course application forms information is securely stored on a laptop computer only accessed by the course director. Each document is password protected. Our E-learning Provider Teachable.com has its base in the USA. Dear friends I shall be teaching EARLY MORNING yoga classes at About Balance starting on 27th Sept.
About Balance, 22 Gloucester Place, Brighton. 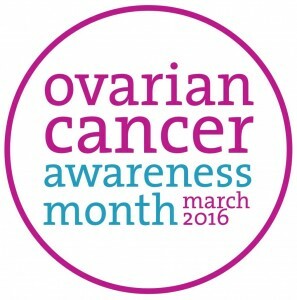 March 2016 is Ovarian Cancer Awareness Month.